Hydraulic PTO Pumps & Motors 50T Series | Cross Mfg. The Cross series 50T pumps are designed to be driven by a 540 rpm PTO and provides a 3:1 speed increase for the pump to provide flow for a variety of farm applications: for example front-end loaders, augers and wing fold implements. 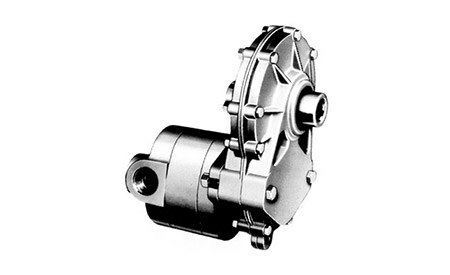 The thru-type 6 spline internal shaft permits the use of a stub shaft PTO driven accessory which simultaneously drives the pump. Mounting hole for torque arm attachment. SAE #20 (1 1/4") O-ring port inlet. SAE #16 (1") O-ring port outlet. All units left hand rotation.